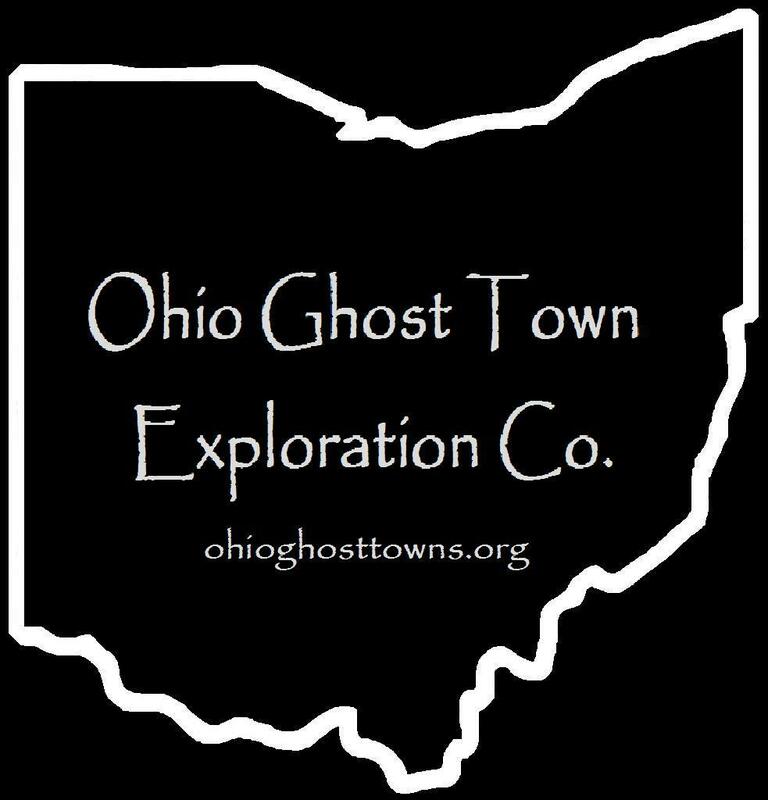 Noble County – Ohio Ghost Town Exploration Co. Description: It was a small farming town with a post office. Description: Much like Billings, it was a small farming town with a church & post office. The center of town later moved northeast to present day Brookton Heights. Description: This religious community was founded to serve residents at a central location in the township. The area still goes by the same name but its days as an official town are long gone. Description: The Mallet family was the largest in the area. There are a lot of old houses & farms along Crum Ridge Rd, built before or during the time Cliffyville was a town. Residents were buried in Crum Ridge Cemetery. Description: The town was platted with 19 lots in 1854 by William Crum (1821 – 1866) & had a general store, school, & church. William & his brother David were pioneers of Elk Township & sons of German immigrant & Revolutionary War veteran Adam Crum who settled in Monroe County. William was also a justice of the peace & David (m. Mary (Crow) Crum) was a school teacher. William was buried with many relatives in Crum Ridge Cemetery. Description: It was founded by a branch of the Gardner family in the county. Description: It was founded by Samuel Hunter (1806 – 1891) from Pennsylvania & Eliza (Chapman) Hunter (1810 – 1897). They had 8 children & large farm. The town was on the Bellaire, Zanesville & Cincinnati railroad & had a school & a coal mine in the late 1800s to early 1900s. Samuel & Eliza were buried with relatives in Cumberland Cemetery on SR 83 (N Church St) in Guernsey County. Description: Lexington was the first proposed town in the county & was platted in 1818 by Thomas Emery & Jacob Young who were unable to pay off the land purchase. However, the location still acquired settlers, was an important trading point for a couple of decades, & kept the name Lexington. It had a tavern, blacksmith shop, general store, grist mill, & a family of weavers. James Shankland (1800 – 1879) moved his general store from Summerfield to Lexington & purchased most of land & town plats. He converted it back to farmland around 1850 after Summerfield won the competition for businesses & residents. James was buried with relatives in Eastern Cemetery in Summerfield at the intersection of N Main St & Cemetery Rd. Description: It had a school & Knights Of Pythias Lodge. Description: The town founders & proprietors were John Scott (1822 – 1907) & Miriam (Thompson) Scott (1828 – 1891). They were married in 1849 & had 6 children. John was a farmer, township trustee & treasurer, & lived all his life on the farm where he was born. The cemetery has over 100 burials including John, Miriam, many of their relatives, & other families from the area. Description: Soakum was platted in 1846 by Joseph Schofield (1782 – 1856) & originally called Matrom. It was a merchant town & didn’t grow well but had a grist mill, school, general store, whiskey stores, & a few other shops. Matrom was also on the Cleveland & Marietta railroad but there wasn’t much left by the time it reached town. The name never really changed but was commonly referred to as Soakum (Soak ’em) in its later years, with whiskey drinking & selling pretty much all there was to do. Unfortunately the town didn’t make it into the 1900s. The Soakum Festival was held for 25 years at at Heritage Park in the Noble County Fairgrounds & showed what life was like around there in the 1800s. When the festival was no longer viable, the committee ended its yearly tradition & donated over $25,000 in proceeds to the county historical society. Joseph Schofield was buried with relatives in Olive Cemetery on Olive St in Caldwell. Description: It was founded by Peter Vorhies (1829 – 1910) & Mary (Williams) Vorhies (1833 – 1920). They were farmers & Peter was the county infirmary director in 1886. They were buried with relatives in Guernsey County at Northwood Cemetery on N 10th St in Cambridge. Description: The town proprietor Andrew Wharton moved to Ohio from Wheeling, WV in 1816. He was the first justice of the peace in the township from 1819 – 1822, Morgan County Commissioner from 1820 – 1823, & built combination general store & post office in 1827. Andrew passed away around 1835. Crooked Tree was laid out by James H. Steadman in 1854. He wanted to name the town Jacksonville but there was already a town in Ohio with the same name. The residents decided to name it after an unusual shaped tree in the area that was a widely known landmark. James H. Steadman is a man of mystery so to speak. We couldn’t find any info on him, so he probably just platted the town & moved on to somewhere else. Crooked tree had a blacksmith shop, saddler, a family of shoemakers, several general stores, a school, & a new United Methodist Church that was built in 1872. It sits on SR 339 just south of the center of town next to Crooked Tree Cemetery. There was also a steam powered planing mill operated by H.C. Ogle & a post office that ran from 1858 – 1904. The last school the town had now sits in Heritage Park at the Noble County Fairgrounds along with a covered bridge, log cabin, & a small church that were moved there. They are open to the public at the Noble County Fair on County Rd 56 in Caldwell during the week before Labor Day. In the 1830s German immigrants arrived & settled in what’s now part of Noble County, which wasn’t formed until 1851. Back then it was in Monroe County. The town was platted in 1861 on land owned by John Adam Brahler (1810 – 1873) & Maria Agnes (Spengenberg) Brahler (1801 – 1871), John S. Hohman (1810 – 1871), & Issac Morris (1777 – 1851). The Brahler & Hohman land was divided up for farm plats & the growing commercial section was mostly built on Issac Morris’s land. His daughter Rebecca (Morris) Archer (1800 – 1850) married Nathan Archer (1797 – 1845) who was the son of Revolutionary war veteran Captain James Archer (1747 – 1830). The Archers owned a sizable chunk of land north of town. Fulda was named after a town in Germany where many of the residents were born. Farming tobacco & livestock raising were their main sources of income. The original St. Mary’s Church was built in 1853 but couldn’t accommodate the growing population. In 1875 the Immaculate Conception Church was constructed & still stands today as an impressive structure in the center of town. Fulda had a school in 1863 & updated to a newer one 1884. They taught both German & English. John Hohman ran a store from 1855 – 1876 & ended up moving to Kansas. Fulda also had a blacksmith & a shoemaker in its early days. In the 1880s there was a hotel, wagon shop, doctor, & a new general store. Fulda post office ran from 1875 – 1904. The Brahlers & some of John Hohman’s descendants were buried in Fulda Cemetery around the corner on Otterslide Rd (County Hwy 2). Most of the Archer family was buried in Archers Ridge Cemetery about 3 miles north of town on Archers Ridge Rd. The old church there is an interesting sight to see. Fulda still has a few scattered residents but the population is far less than in its heyday. This little town started out as one of Noble County’s earliest settlements & was formerly in Monroe County. Ezekiel Dye (1750 – 1830) was a Revolutionary War veteran from New Jersey who had been granted 2500 acres of land for his service. He was living in Pennsylvania at the time with his first wife Elizabeth (Cox) Dye (1752 – 1805). They were married in 1780 & had 11 children. Two of their sons left to develop the land in Ohio in 1804. In 1806 it was named Dyes Settlement & Ezekiel moved there with his family & second wife Sarah Egbert (Paul) Dye (1763 – 1844). They had 9 more children. It’s been said that Ezekiel once boasted that you could do a lot if you have some land in that area & 20 kids, putting some humor into the fact that most people at the time turned their children into farmhands. His son Thomas Dye (1781 – 1865) built a horse mill & donated land for a church. Dyes Settlement started attracting more residents, so the Dye family sold off land to make more farm plats. A wool mill was constructed in 1841, a store in 1845, & a post office was built in 1850 which changed the town’s name to Renrock. There was also a blacksmith shop & another general store. Renrock lost its post office in 1916 when the mail started going to Cumberland a few miles to the north. Ezekiel Dye & his second wife are buried at the Old Dye Cemetery on Dye Cemetery Rd (Township Hwy 1152). Thomas Dye & many of his family members are buried at Dye / Tilden Cemetery on SR 83 near the intersection of Township Hwy 13. More Dye graves can also be found at Renrock Methodist Protestant Cemetery on Township Road 1 (Township Hwy 1153).